The best way to get to know a community is by scheduling a tour. See the facilities, meet the staff and residents, and get a feel first hand what it's like to live at Country Meadows of Wyomissing (Berks County) Assisted Living. At Country Meadows, our philosophy is to understand the needs of our residents and offer them ways to improve their lives. The result is personalized senior living. We offer a broad range of choices including independent retirement living, assisted living and personal care options, memory care programs, rehabilitation and restorative care. 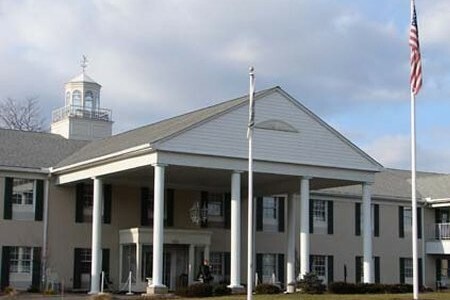 Like all Country Meadows Retirement Communities, you will find an abundance of programs and a rich community life at the Wyomissing campus led by a caring, dedicated staff. With our residents' goals in mind, our focus is to help make life a little better each day for every person at Country Meadows. The beautiful countryside of Berks County and Gring's Mill Park is the backdrop to Country Meadows of Wyomissing, located near Reading. When on campus, you would never know that just a short distance away is a main hub for Route 422. Country Meadows of Wyomissing is convenient to first-class education, churches, medical centers, shopping, entertainment and the city of Reading.